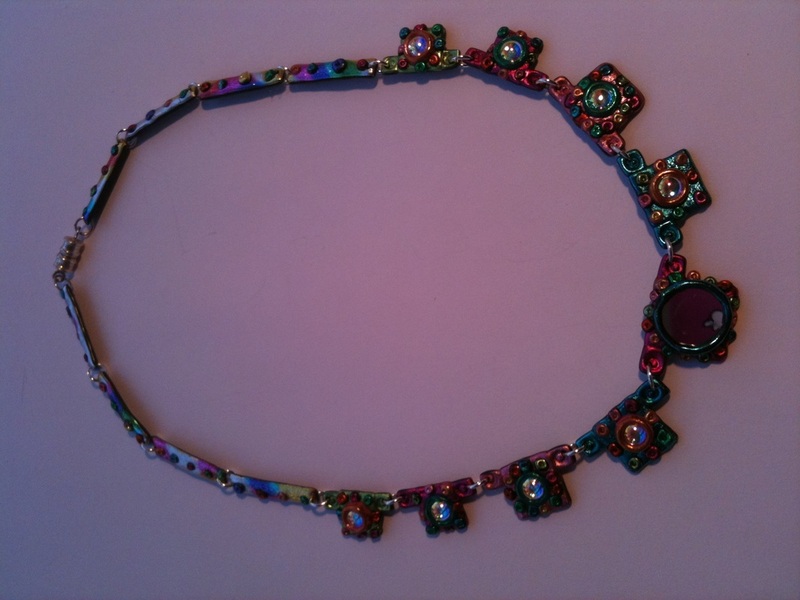 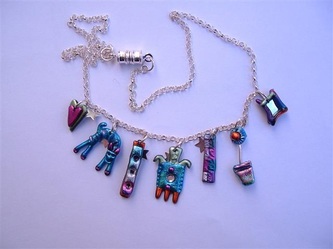 necklaces - Josephine Gordon fabulously fun funky hand made jewellery to make you happy. 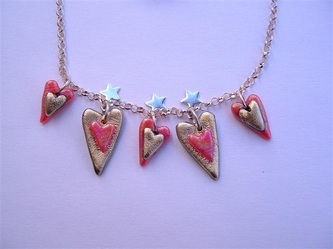 Stunning heart necklace- a real statement piece. 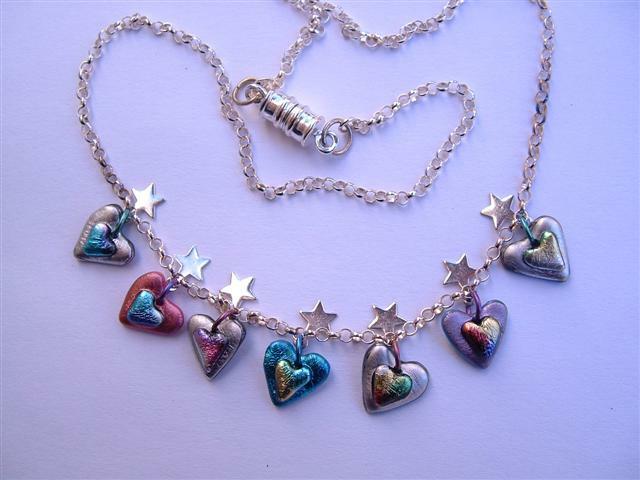 Five heart charms with decorated lozenge links...encrusted with swarovski crystals. 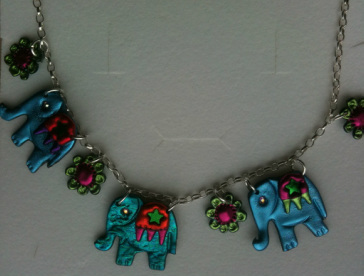 4 elephants linked together with little flowers. 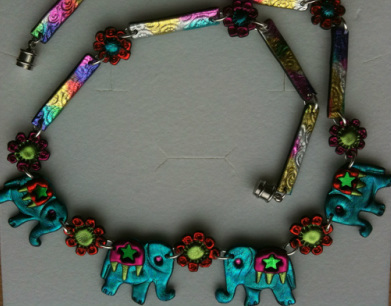 3 elephants and flowers hanging from a silver belcher necklace. 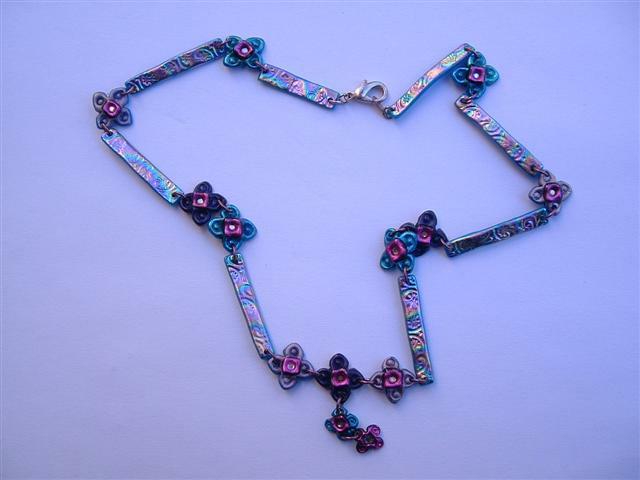 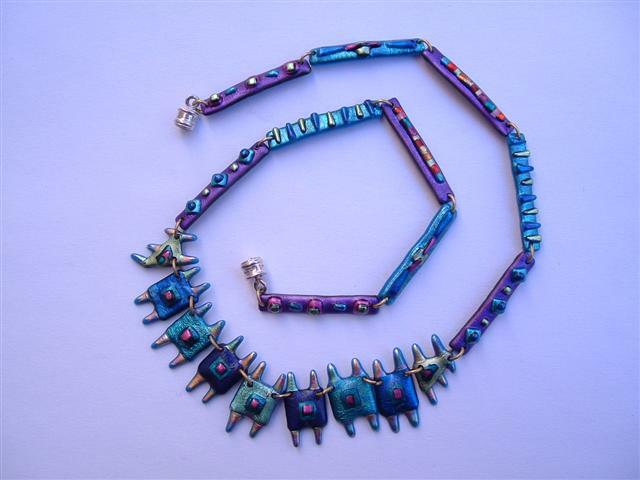 A beautifully detailed necklace of linked handmade sections. Little charms hanging from silver belcher chain. Any design considered-contact me to discuss. 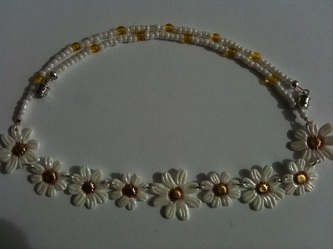 A very pretty daisy chain necklace -fabulous in the summer with a tan. 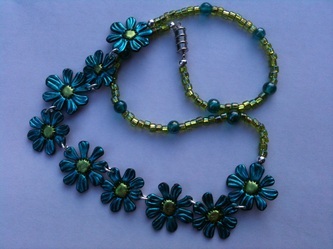 white with yellow centres turquoise with lime green centres you choose!